Main Street Trading is proud to offer to our clients FREE registered Investment Advisory services to our clients. This FREE service send two daily updates in six markets. That’s great, but it gets even better! 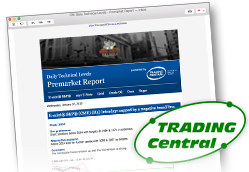 Main Street Trading can send you any report, for any market. Please call your broker and have them send you any commodity report from our Trading Central Registered Investment Advisory Service ! !